There is an incident of fire outbreak at the Sam Mbakwe International Cargo Airport, also known as Imo State Airport. 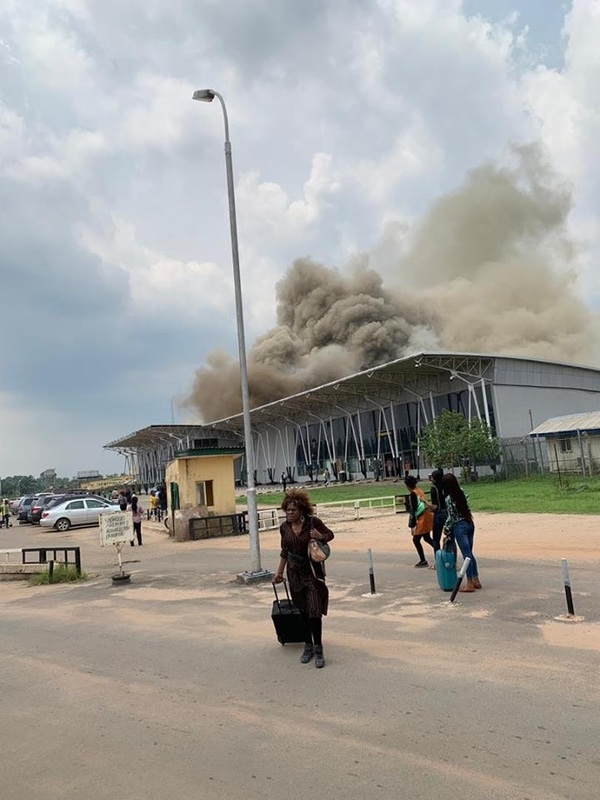 Facebook user Owell Chukwu confirmed the incident, sharing a picture revealing thich flames over what appeared to be the arrival hall of the airport, with a few passengers seen scampering to safety. An airport subsequently told SaharaReporters that the fire began at about 2pm and lasted almost an hour.